I think the Top of the Mark was at 3400 Montrose (recently demolished) but I’m not certain. Well now, this gives me something to work with. And indeed, I quickly found the story right from the horse’s mouth. 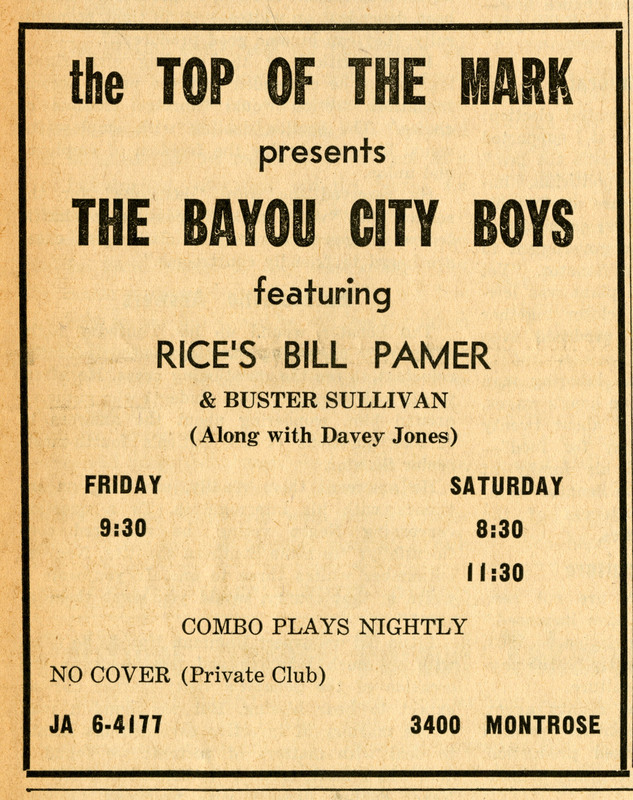 Go here for the run down on Bill Palmer and the Bayou City Boys. Bill Palmer’s Blue Grass Bio is interesting. 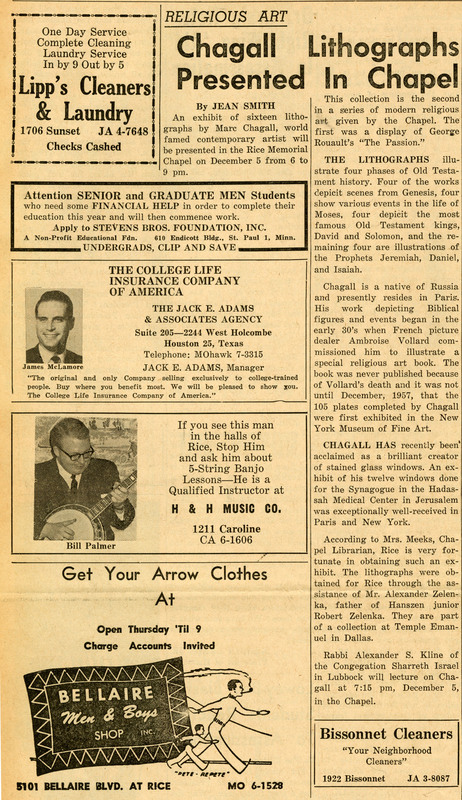 In the fall of ’69 (I think), some of my Lovett College buddies went to a Jim & Jesse McReynolds concert somewhere in north Houston. They played in a store parking lot and used a low, flatbed trailer for a stage. I think there are some photos of it, believe it or not. Top of the Mark was indeed located at Montrose and Hawthorne atop the recently demolished building on the SW corner. In the ’70s it was renamed “Cody’s” and appeared to have been recently refurbished. The new format became jazz. It lasted along into the 2000’s. My son played in various jazz groups that occasionally performed there while he was an undergraduate at Rice.